Compassion is a cornerstone of the Bethesda Vision: Fostering Successful Aging through Compassion and Innovation. Without compassion, illnesses may be cured and wounds may be healed—but the human element will be absent. That is why compassion is always a part of the very essence of Bethesda. At Bethesda, compassion is evident in the staff’s attention to our residents’ nonphysical needs. At each Bethesda community, numerous events and activities take place to help residents maintain an active social life. In addition, holidays are celebrated, and family members and friends are always welcome. Therefore, family meeting areas are designed to be homelike, comforting and familiar. Before Robin Light, a resident at Barnes-Jewish Extended Care, passed away, she and her family appreciated having a variety of places to sit and visit, each providing a change of scenery. “We loved the dining room—they always decorate for the holidays—and we loved sitting outside in the beautiful courtyard,” said Robin’s sister, Hope Herndon. 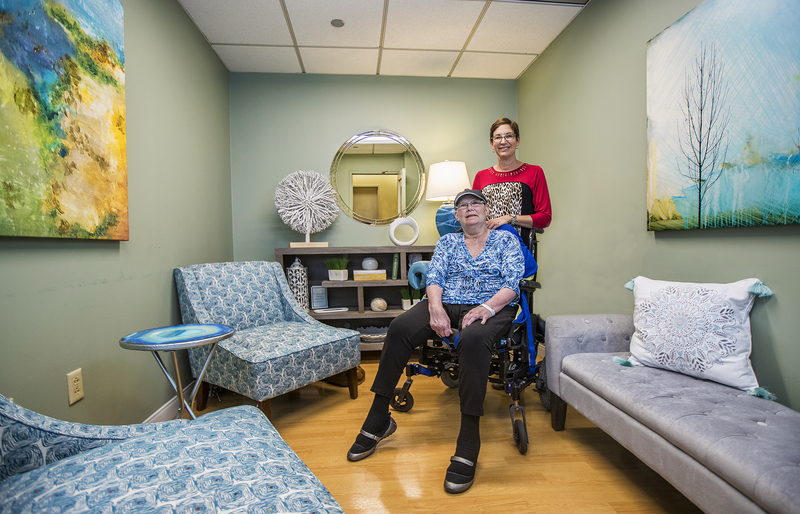 One of their favorite places at Barnes-Jewish Extended Care was the Reflection Room. Opened in late 2016, the Reflection Room was the brainchild of Pat Baker, who is now a chaplain at Barnes-Jewish Hospital. It is a serene, nondenominational space for residents and their families to gather, read, rest, and enjoy being with each other. Contact Bethesda for more information regarding the care and services offered at Barnes-Jewish Extended Care, or to schedule a tour.